Summary. Today, along with the development of technologies, web and mobile applications have gained incredible success since they allow us to share information, communicate with each other and connect people all over the world. Moreover, by providing highly functional and interactive features, more and more businesses are now operating on the internet. These applications are used for shopping, social networking, banking and so on. Hence, there is a great demand for fast, responsive and remarkably interactive web and mobile applications. Market uncertainty and globalization processes determine the need to use Internet more and more domestic enterprises. Steering elements of Internet marketing in their activity things. Its performance is in improvement economic indicators and increasing competitiveness capacity of the product. One of the underestimated Internet marketing tools in the Ukrainian scientific space is mobile marketing, the notion of which opportunities are limited and covered fairly indirectly. In this article we investigate the basic tendencies of development of mobile marketing in Ukraine are considered. Analyze the different between native, hybrid and mobile web application. The importance of mobile marketing as an Internet marketing tool is grounded. The main opportunities of mobile marketing in the context of the development of Internet marketing are explored. Also considered the advantages of hybrid mobile applications, the essence of their use, as one of the modern means of communication for business. Successful implementation examples are considered. Key words: mobile marketing, hybrid mobile applications, business, communications, internet, marketing. Formulation of the problem. Modern opportunities for expanding business offer owners of small and large companies to invest in the promotion of goods and services on the Internet. The availability of mobile devices and their functionality make you think about why you need to have a mobile application besides a regular website . Through it new ways open not only for direct sales, but also opportunities to build a marketing strategy and establish close contact with the client. Analysis of recent research and publications. The issue of using mobile marketing, including hybrid mobile applications, is quite relevant and studied by both domestic  and foreign  market researchers. In particular, how to apply the mobile marketing toolkit in various business areas and how it can help companies to increase brand awareness and customer loyalty, attract customers to brand communications, examined in detail researchers such as L. Bugaev , E. Kuznetsova [4, p.85-87], Mazurenko , A. Michael  and G. Holland  etc. Interest in this problem is observed in practical managers and online analysts. Allocation of unresolved parts of a common problem. Underestimation of mobile applications by Ukrainian companies to improve long-term relationships with customers and improve business processes. The purpose of the article is to generalize and identify the features of using hybrid mobile applications in Ukraine and the world. The emergence of the role of mobile applications in the modern world, as one of the actual ways of analyzing business processes, promoting products and improving customer loyalty. The main material of the study. Information resources, systems and technologies are inalienable, rapidly developing elements of modern life. This is evidenced by statistics and studies of foreign and domestic companies. In 1997, the WAP technology appeared on the cellular market, allows you to install programs on mobile phones directly from the Internet, without using a cable to connect to the computer. Since that time the process of "mobilizing" society began. A qualitative jerk in creating mobile applications began production in the early 2000s mobile devices with large touch screens, which made it possible to create mobile applications of a new level. In 2010, mobile devices are equipped with all more powerful processors that allow the use of modern information technology for the development of mobile applications. Most programmers began to master new directions of professional activity and adapt to market trends [6 p. 66-68]. The development of mobile applications is currently one of the the most popular tasks in the field of information technology. Mobile phone development is aimed at creating applications that can predict consumer preferences; solve problems, the algorithm of solving which in advance is unknown. Now applications can perform analytical analysis information from multiple sources and help the user decisions, control processes and other important tasks with the least time and analytical costs for himself. What's in your turn helps to optimize business processes, increase productivity and effectiveness of decisions taken. Mobile application - a special program for the phone, installed on a particular platform, with certain functionality that allows you to perform certain actions depending on the those tasks that need to be solved. This is a kind of adapter that helps user to interact with a variety of information. Mobile Internet every year beats all records of popularity. Already in 2015, the traffic of connecting users to the Internet through mobile devices exceeded the number of users from stationary computers. In the near future, further growth is projected. This is a signal for all companies to rebuild the strategy in the market of goods and services. By the end of 2017, demand for the development of mobile applications will grow 5 times faster than the state of IT companies able to meet this demand. When considering the creation and implementation of mobile applications, you should start with the choice of technologies and development methods. These items can be combined, leaving the most important ones, namely: platform choice and functionality for determining the most important development criteria for a particular application, as well as its commercial success. The market is constantly growing and developing. The scope of mobile applications is divided into parts, primarily, operating systems used in mobile devices. Native applications are programmed using Objective C on the iPhone or using Java on Android devices. Native applications use all phone functions, such as camera, geolocation and user's address book. Native programs do not usually require an Internet connection to work. Native applications always correspond exactly to all the capabilities of a particular device. Native applications can be distributed through application stores (for example, Apple Store for iPhone or Ovi Store for Nokia phones). Web applications, this application running in the phone's browser. One application can run on all devices and platforms. All devices use the same source code, for example for both iOS and Android. However, web applications do not use other phone features, such as camera or geolocation. Web applications cannot be located in the application store for specific devices. Hybrid mobile applications, which are a combination of native and web applications. A hybrid application is a native application with embedded HTML. Individual parts of the application are written using web technologies. Web Parts can be downloaded from the Internet, or already packed in the application. A hybrid application allows companies to combine the advantages of native (native) applications with the "durability" or technological relevance provided by the latest web technologies. They are the golden mean in terms of time and financial costs, it is most suitable for choosing. A mobile application of a hybrid type is a cross-platform model designed to work with phone software. It combines certain options of native and web applications (figure 1), which makes it a universal development. This application has the function of updating information. In the hands of entrepreneurs it will become a valuable marketing tool for attracting and retaining customers, as well as solving potentially important tasks . saving memory on the phone, because the software product is stored on separate servers. It is important to remember that to solve specific tasks and the effective operation of the application, the customer must intelligibly communicate the main goals that he wants to achieve with his help in a particular market segment. At the same time, due attention should be paid to the design of the product and to satisfy all customer needs. Regardless of the scope of your services or the level of popularity of products, mobile applications will be an additional resource for expanding the company's capabilities. With its help, you can at times increase the turnover and find new potential customers. The mobile application takes you away from local attachment to one territory and opens up to you a large sales market, the dimensions of which are not limited to the territorial scope. This platform can serve not only as a direct channel for the sale of goods and services, but also a field where the buyer will receive reliable information, and a potential business partner will study the conditions and establish contact with you for joint cooperation. Installing the application on the mobile phone of potential customers and displaying the icon on the monitor will allow it to establish advertising contact with a long-term perspective. To access your products, the user will only need to do one click on the screen. With the installed application, a person is directed to make repeated purchases, because for this you need to perform simple actions. The mobile device is always with the user, which ensures constant contact with customers. You only need to correctly send text notifications to your audience, which will allow you to establish effective communication with direct benefit to your business. To send messages, you need to organize the correct strategy. The user should only get really useful data that will correspond to current trends and time. With the help of a hybrid mobile application, you can better monitor your business, actively monitor the mood of your target audience and adjust the company's work. For customers, this is a resource through which they can use loyalty programs and other beneficial offers. It will allow you to keep feedback with the customer and get feedback about the work of employees and the quality of the product. You will also be given control over the application and the ability to improve its functionality, depending on user behavior. For the owner it is a chance to get a ready-made tool for the analysis of electronic commerce, because there is an opportunity for convenient collection of information about purchased goods, their quantity and value. Settings allow you to select the desired metrics for you, which will be displayed in real time. Knowledge of specific numbers will allow for more effective meetings with the company's management. Based on this information, you can build a strategy for more successful promotion of the company in the market. All this is done with a convenient device, which everyone always has with him. This also increases the efficiency of the work, if the subordinates are out of the office or went on a long business trip. Developing and implementing a mobile application is the first step on the road to building a strategy that will be uniquely successful than any attempt to improve the market position of your competitors. With its help, you will soon achieve the loyalty of the target audience, as you can offer them a service much better and more convenient than other companies. At a time when more and more buyers prefer to make purchases without leaving home, the mobile application will improve your performance and give a prompt impetus for future development and prosperity. you can enable push notifications. Conclusions and offers. Thus, from the above analysis it can be seen that hybrid applications have the least drawbacks, while they organically combine the advantages of two other categories - native and web applications. There is no doubt that the market for hybrid applications will grow rapidly and grow, and the study of the development tools for such applications is an important and urgent task. The absence of a mobile application during the growing popularity of mobile devices is rapidly increasing the number of refusals from purchases on unadapted sites. The user is much easier to go to the site where the mobile application is provided, rather than trying to make a purchase from the screen, where everything looks very small and incomprehensible. Since the interface of the hybrid mobile application is already prepared for increasing the scale, it is much easier and more convenient for the buyer to see all the advantages of the selected product. Michael A. Mobile Marketing. Creating a Competitive Advantage Using Wireless Technology / A. Michael, B. Solter. - IDT Group, 2007. - 400 p.
Bugaev L. Mobile marketing: How to charge your business in mobile world / Leonid Bugaev. - M.: Alpina Pablisher, 2012. - 214 p.
Holland G. Mobile Marketing / G. Holland, Kr. Bammel - М.: Vershina, 2006. - 208 p.
Kuznetsova E. Mobile Marketing - A Modern Effective Promotion Tool [Text] / Problems of Modern Economics: Materials III International. scientific conf. (Chelyabinsk, December 2013). - Chelyabinsk: Dva Komsomoltsa, 2013. Mazurenko V. Development of mobile marketing in Ukraine / Marketing and management of innovations, 2011. - № 4, V. ІІ. 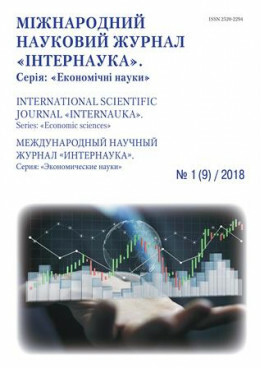 Kulyashova NM, Karpyuk IA, Drozdov SA Basic principles of construction and classification of information retrieval systems // Proceedings of XVI sci. conf. young scientists, graduate students and students of the Mordovians. state. University - Saransk: Publishing house of the Mordovian University, 2013. Small Business Mobile Apps: 2017 Survey [e-source] URL: https://clutch.co/app-development/resources/small-business-mobile-apps-2017-survey 25.12.2017 – title from the screen. DIGITAL IN 2017: GLOBAL OVERVIEW [e-source] URL: https://wearesocial.com/special-reports/digital-in-2017-global-overview 25.12.2017 – title from the screen. Pantileykin N.V. Mobile applications and their types // Scientific-methodical electronic magazine Concept. - 2016. - V. 26. Current Trends And Future Prospects Of The Mobile App Market [e-source] URL: https://www.smashingmagazine.com/2017/02/current-trends-future-prospects-mobile-app-market/ 26.12.2017 – title from the screen. PhoneGap App Showcase [e-source] URL: https://phonegap.com/app/ 26.12.2017 – title from the screen.